either! The last of the garden produce is in. It kinda makes me sad. I love having fresh produce on hand. 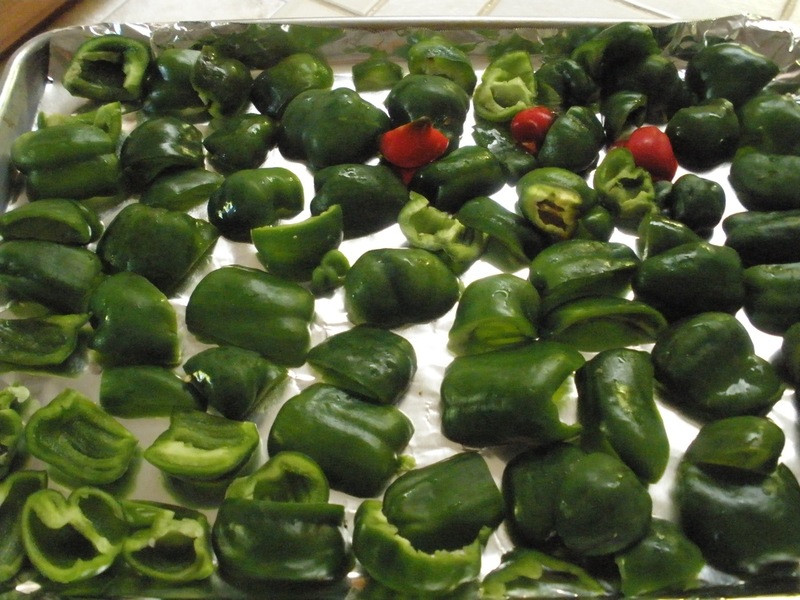 This weekend I cut up the last of the peppers and put them in the freezer. I will enjoy using them all through the winter. We planted both red and green peppers. What we got were green peppers with an occasional red spot. I’m fairly certain that isn’t how mother nature intends us to do it, but sometimes you get what you get. I know I have said before that we really love Tilapia. We’ll we do! So I am always looking for a new way to fix it or a new surprise topping. 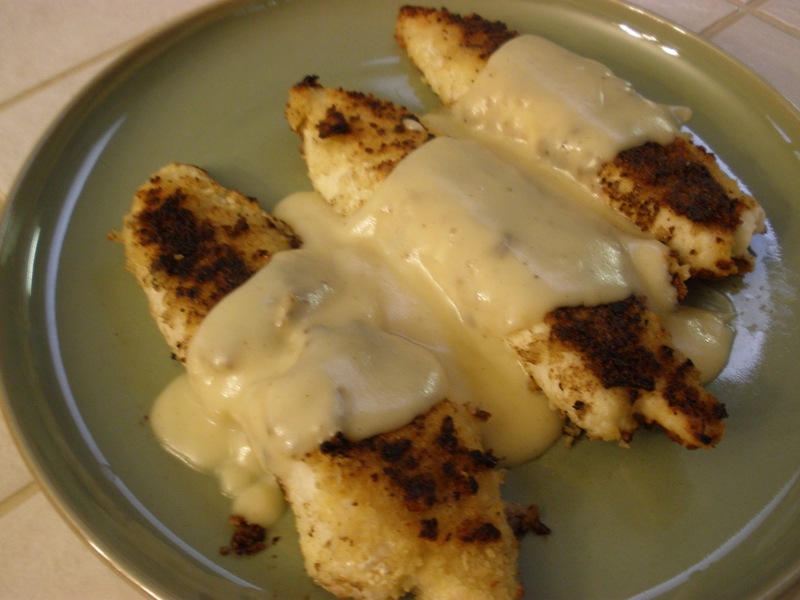 This Supreme sauce turns grilled Tilapia into a meal fit to serve — we’ll on a cruise ship! 🙂 I hope you enjoy it also. Supreme Sauce also known as Sauce Supreme is a white sauce used in many dishes. It is a derivative of one of the 5 “Mother Sauces” called veloute sauce made with chicken stock. 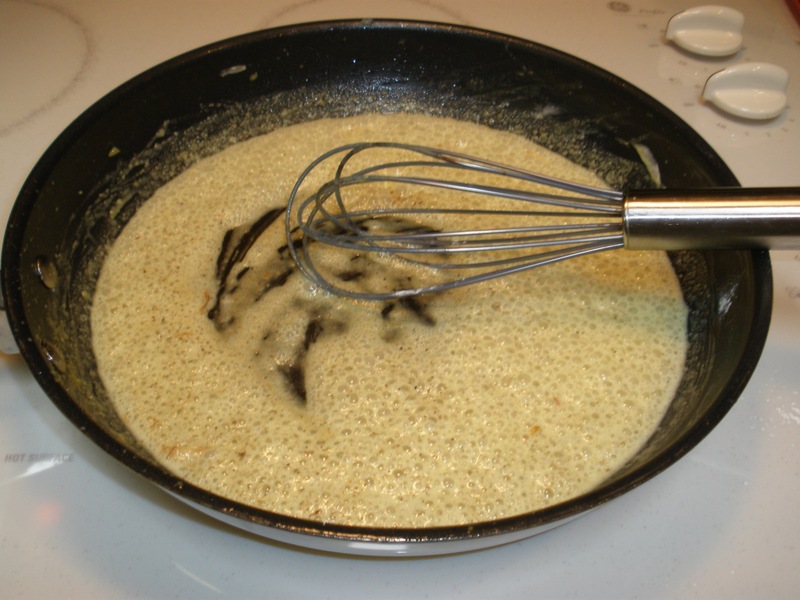 The basic ingredients of supreme sauce are chicken veloute sauce, heavy cream, butter, lemon juice, salt and pepper. Supreme sauce is similar to another one of the “mother sauces” called béchamel sauce, another white sauce. The basic ingredients for béchamel sauce are butter, flour, milk, salt, pepper, and sometimes nutmeg. The only major differences are the use of cream instead of milk, and the use of nutmeg. We are not wild about nutmeg at our house and so I usually do not use this sauce. In the future I plan to share the recipes for all of the 5 “Mother Sauces”, but for now I will start with my favorite! 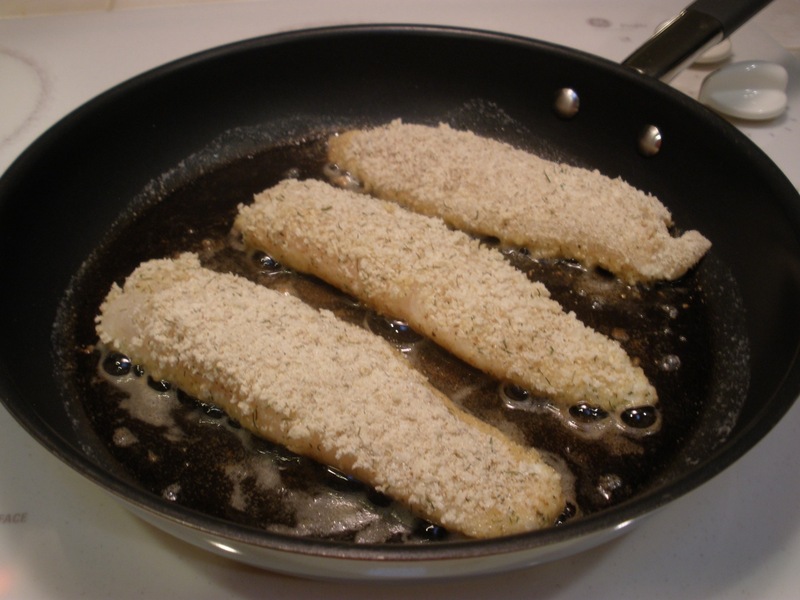 Place fillets one at a time in the plastic bag, shake gently coating fish with seasoning. Sprinkle 2 tablespoons olive oil in heavy skillet over medium heat. When oil is sizzling hot, cook filets 5 minutes on each side, turning once. While filets are cooking start making the Sauce Supreme. French sauces take care and a watchful eye. Do not leave them or they will come out lumpy or burned. * Begin by preheating a pan to medium. * When it melts, immediately add the flour and stir constantly until the flour and butter are incorporated into a roux and forms a paste. * Add the cream, bit by bit, pouring slowing until it is incorporated. You pretty much never stop stirring. * Add the chicken stock in the same manner. * Add the lemon juice and cook for another minute or two or until you receive a sauce-like consistency with no lumps or thickness. * Add more stock if needed to thin. * Season with salt and pepper to taste. 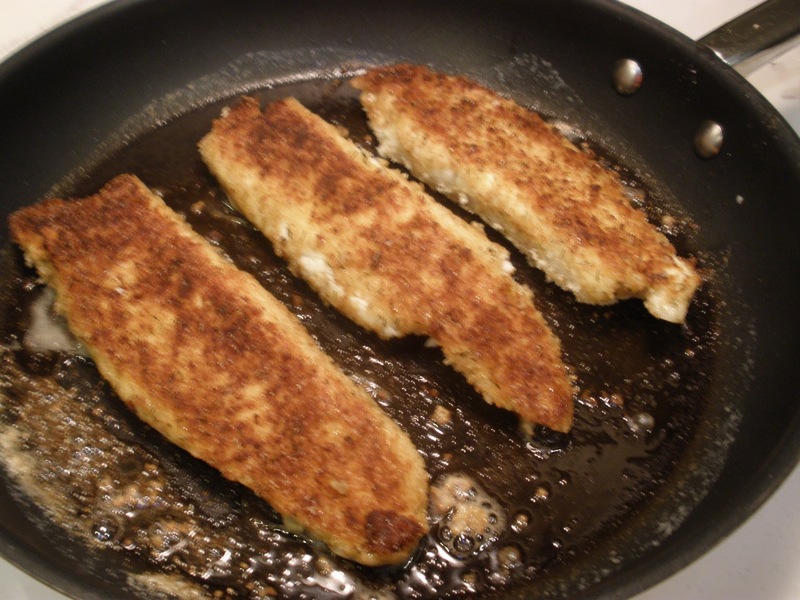 Remove fish filets to serving platter, gently spoon Supreme Sauce over each filet. Serve remainder of sauce on the side. Béchamel,the classic white sauce, was named after its inventor, Louis XIV’s steward Louis de Béchamel. The king of all sauces, it is often referred to as a cream sauce because of its appearance and is probably used most frequently in all types of dishes. Made by stirring milk into a butter-flour roux, the thickness of the sauce depends on the proportion of flour and butter to milk. Hollandaise and Mayonnaise are two sauces that are made with an emulsion of egg yolks and fat. Hollandaise is made with butter, egg yolks and lemon juice, usually in a double boiler to prevent overheating, and served warm. It is generally used to embellish vegetables, fish and egg dishes, such as the classic Eggs Benedict (one of my very favorites.) Mayonnaise is a thick, creamy dressing that’s an emulsion of vegetable oil, egg yolks, lemon juice or vinegar and seasonings. It is widely used as a spread, a dressing and as a sauce. It’s also used as the base for such mixtures as Tartar Sauce, Thousand Island Dressing, Aïoli, and Remoulade. Vinagrette is a sauce made of a simple blend of oil, vinegar, salt and pepper (usually 3 parts oil to 1 part vinegar). More elaborate variations can include any combination of spices, herbs, shallots, onions, mustard, etc. It is generally used to dress salad greens and other cold vegetable, meat or fish dishes. Constantly stir roux-thickened sauces while cooking to prevent lumps. If you must leave the sauce for a few seconds, set the pan off the heat during that time. Cook egg-thickened sauces over low heat, or cook these sauces in the top of a double boiler over hot, not boiling, water. Always temper (warm) the egg yolks before adding them to the sauce by first stirring in a little of the hot sauce mixture into them. Then add to the remainder of the sauce mixture. Never let a sauce boil after the egg yolks are added as the sauce may curdle. Don’t let water boil in the bottom of the double boiler if you use it to make egg-thickened sauces. Also, be sure that the water doesn’t touch the bottom of the pan holding the sauce. 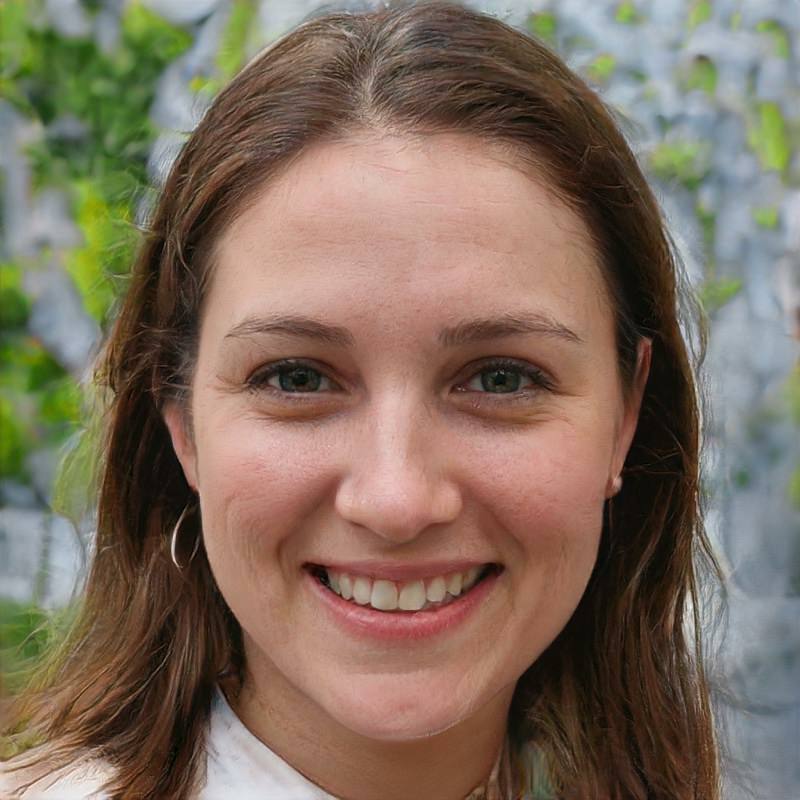 Stopping by from FoodBuzz! Thank you for the friend request. I am always looking for new fish recipes. I will have to try this one – looks yummy! Thanks my FoodBuzz foodie friend! Hope your weekend is going well! Blessings. Mmmmm. That sauce looks devine. I can’t wait until i get a chance to make it! You’ll love it! Maybe I can make it for you! See you soon!